The United States Environmental Protection Agency has long made good use of its policy on Supplemental Environmental Projects (“SEP”). Since most environmental enforcement matters are resolved through settlements, the policy has resulted in significant environmental benefits in the communities directly impacted by violations. Under EPA’s SEP policy, an alleged violator can voluntarily agree to undertake an environmentally beneficial project in exchange for mitigation of the penalty to be paid. The policy establishes guidelines, categories of projects and importantly, makes clear that a SEP does not include the activities required for a return to compliance. A SEP is something beyond compliance with a nexus to the damage allegedly caused by the violation. In exchange, EPA exercises its enforcement discretion in penalty assessment resulting in a smaller penalty payment. A good Supplemental Environmental Project is a win-win-win. SEPs further EPA’s goal of protecting and enhancing the public health and the environment. Settling businesses often view SEPs as a better way to spend penalty dollars, giving them some say over how those dollars are spent and maybe even some positive public relations. SEPs are also often viewed positively by non-governmental organizations and local government because SEPs provide local benefits, which are viewed more positively than payments to the federal general fund. 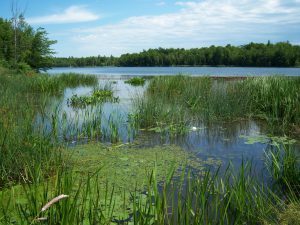 SEPs have resulted in the retirement of emissions credits, reductions in neighborhood emissions or restored wetlands, to name a few examples. Many SEPs are performed by the alleged violator but third parties are the beneficiaries. While EPA’s policy does include a nexus requirement, it may be difficult to demonstrate that such SEPs meet the directive’s requirement that such settlement “directly remedies the harm that is sought to be redressed.” This standard will be especially challenging where the SEP goes beyond compliance requirements. In taking away the option, or maybe just limiting it, it is not clear where the win falls and only time will tell if the new directive results in enforcement litigation instead of enforcement settlements. While a SEP may not have been the one thing that pushed a settlement to resolution, it often effectively opens the door to productive discourse. Going forward, businesses facing enforcement should take early stock of their options and be prepared for an increased likelihood of litigation and higher penalty assessments.